Police in the state of Texas need your help finding 25 year old Brenda Lizbeth Montanez. 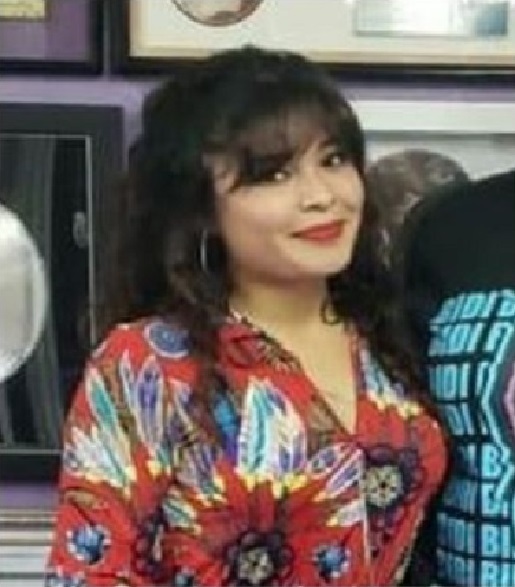 Brenda was last seen in the city of Log Cabin, Texas around 2:30 am on the morning of January 27, 2019 and is registered as a missing adult with the Texas Department of Public Safety Missing Persons Clearinghouse. Brenda is described as a Hispanic female with brown hair and brown eyes, 5'3" tall, and weighing 103 pounds. Brenda might go by the nicknames Brenda Montanez-Perez, Brenda Lizbeth Montanez, or Shorty. Brenda was last seen wearing a black sweater, dark blue jeans, and black riding boots. It is believed that Brenda might be driving a dark red 2011 Mazda 3 with Texas license plate number CZW4001. Authorities are uncertain where Brenda might be headed. If you have seen Brenda or have any information about her, please contact the Texas Department of Public Safety at (512) 424-5074 and reference case number #M1902001. If you have five seconds, copy and paste this PL8PIC link to social media as a public post, tag several friends, and use the hashtag #findBrendaMontanez to help this alert go viral. You never know. You might just help save a life.